When the debate over live vs. artificial trees became the conversation in our break room, we thought we would step into the fray and did some research. Honestly, coming up with a definitive answer has eluded us so we thought we would present the evidence and let you draw your own conclusions. 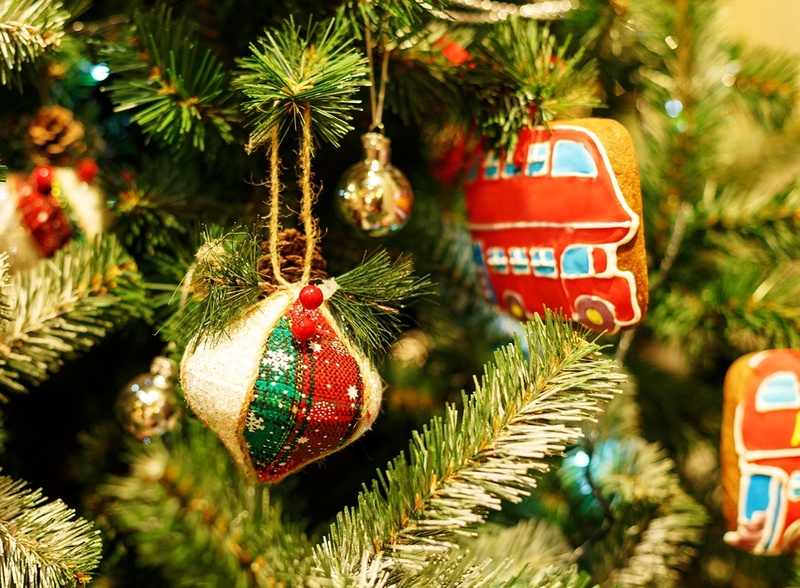 Did you know that the first artificial Christmas trees were actually made in the early 1930’s by a company called Addis Brush? They were in the business of making toilet scrubbers and brushes. So, the first fake trees were really nothing more than gigantic, green toilet bowl scrubbers. 1. One of the biggest advantages of using artificial trees is the cost savings. As we mentioned earlier, once you invest the money you’re done. You can use the tree year after year. 2. Artificial trees are convenient. All you need to do is drag it out of your attic, basement or garage once a year and you’re good to go. It’s always that “perfect shape”, and you don’t have to worry about haggling with the Christmas tree lot salesman to get a good deal. The trees don’t need any watering and won’t scatter mounds of messy needles all over the floor. The bad news is that there are a lot of disadvantages to using artificial Christmas trees, many of which you probably didn’t know about. Artificial trees are made from PVC plastic. Researchers believe that millions of artificial trees, especially older models, could be harboring lead, which can easily spread inside the home. Furthermore, PVC plastics release dioxins over time. These dioxins are extremely toxic to both humans and animals. When they’re released into the air or water, they’re stored in our fatty tissue and can cause cancer, neurological damage, and many other serious health issues. PVC is a petroleum-based, non-biodegradable plastic. Once you throw your artificial tree away, it’s going to be in the landfill forever. And because the plastic fibers are fused and glued to the metal frame, artificial trees can’t be recycled. Over 85% of all the artificial trees sold in the U.S. come from China. This not only adds to the carbon footprint, but it means we’re buying (yet again) more products from China instead of something that’s produced here in the U.S.
Lastly, there’s the space consideration. You will be storing an artificial tree in your home for 11 months, and it won’t fit easily back into the box once you uncoil the branches. You’ll need to find the storage space, whereas real trees require no storage needs. 1. According to the USDA, almost all of the real Christmas trees sold in the U.S. are grown by U.S. farmers. On average, 25-30 million real trees are sold each year. This helps employ over 100,000 workers right here at home in all 50 states where Christmas trees are grown. Right now, there are over 350 million Christmas trees growing here in the U.S. These trees help keep our air clean and also provide sheltered habitat for wildlife. And for every tree cut down, 1-3 trees are planted in its place in the Spring. There are more than 4,000 Christmas Tree recycling programs around the U.S. Real trees can be easily recycled, unlike artificial trees. 1. The biggest disadvantage to buying a real tree is, again, the cost. Most trees run $20-$70, and many top $200 or more. To make matters worse, this is a yearly expense since you need to buy a new tree every year. Real trees are high maintenance. They must be watered continuously and will drop needles on the floor. Live trees can trigger allergies and come with their own set of bugs. The good news is if you go to a farm, most have mechanical tree shakers to take care of crawling critters. "A mechanical shaker will usually dislodge any potential intruders and eggs, in addition to getting rid of loose pine needles," Nancy Troyano, a medical entomologist and director of technical education and training for pest control company Rentokil Steritech. Or you can shake the tree yourself in the parking lot. To confirm no unwanted guests made it home with you, do a quick inspection with the help of a flashlight. Things to look for: Bird nests, egg masses, and, of course, bugs themselves. Then leave your tree in the garage for 24 hours before decorating. During the rest of the season, vacuum the floor around your tree regularly. The one thing you should skip? Bug sprays, which are often flammable and don't mix well with Christmas lights. After all, a few critters are nothing compared to a tree on fire. A single farmed tree absorbs more than 1 ton of CO2 throughout its lifetime. With more than 350 million real Christmas trees growing the U.S. tree farms alone, you can imagine the yearly amount of carbon sequestering associated with the trees. Additionally, each acre of trees produces enough oxygen for the daily needs of 18 people. In order to ensure a healthy supply of Christmas trees each year, growers must use sustainable farming techniques. For each tree harvested, one to three seedlings are planted the following spring, ensuring a healthy supply of trees. According to the NCTA, the Christmas tree industry employs more than 100,000 Americans, an important economic consideration in the real versus artificial debate. Thanks for taking a look at our research. Artificial or live, it’s your choice. At least you have some facts for your tree discussion. When you have questions about your insurance, that’s a place where we do have the answers. Just give us a call.